« Les jeans sont les plus belles choses depuis la gondole. 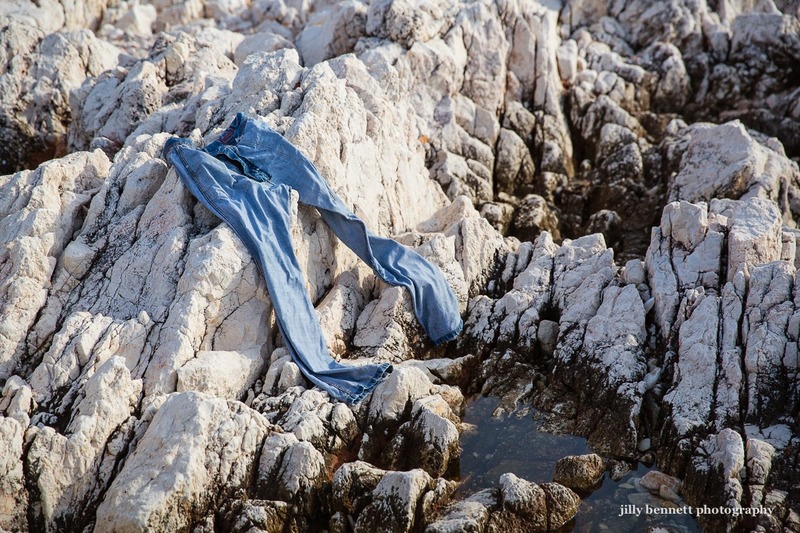 This gives new meaning to "stonewashed" jeans. There has got to be more to this story! Has Menton gone bottomless as well? You just know there's a story there that somewhere involves the question, "where are your pants???" A little seawater, a little sun--you have a perfect fade.